I've been really busy recently. I'm trying to finish a large custom painting to ship out next week. For those in the DFW area, I'll have original art and prints available at the ConDFW art show Feb 22-24th. Unfortunately, I wont be there personally. My sister in law is getting married that weekend! I've been blogging a lot recently. 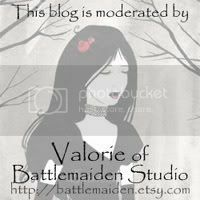 I've got two other blogs that I try to update often, and eventually I'll figure out a schedule so that I can keep up with everything. I'll put links up in the side bar for easy access. I'm going to be working on some new Art Cards this week, so I should have new stuff to post next week.